Volt is one of my favorite restaurants, but it is truly a splurge to go to eat there; not to mention that it is often difficult to obtain a reservation. So when I heard that Bryan Voltaggio’s new restaurant, Lunchbox, had opened, I knew that I had to try it. 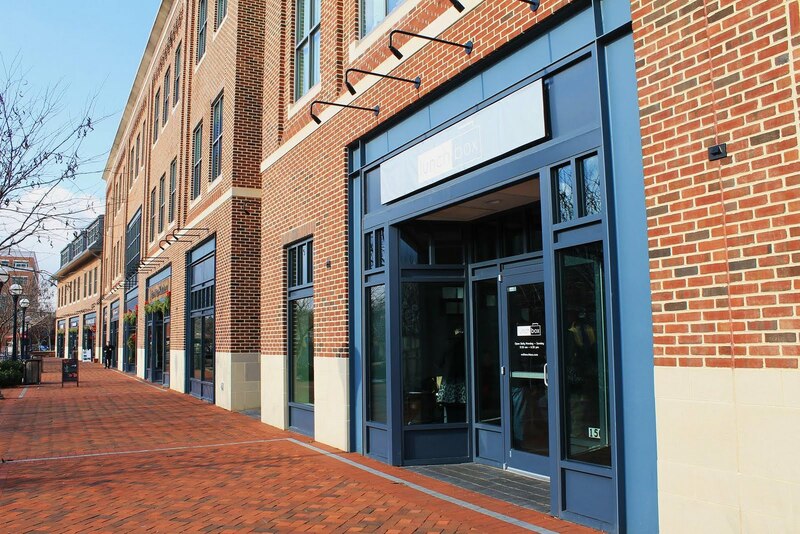 The restaurant is located in Carroll Creek’s beautiful promenade and is a perfect stop after a visit to the library. The decor of the restaurant is casual and comfortable. I love the lunchboxes on the wall and the exposed wood. Each table has a Mason jar filled with disposable silverware that looks like the real thing. 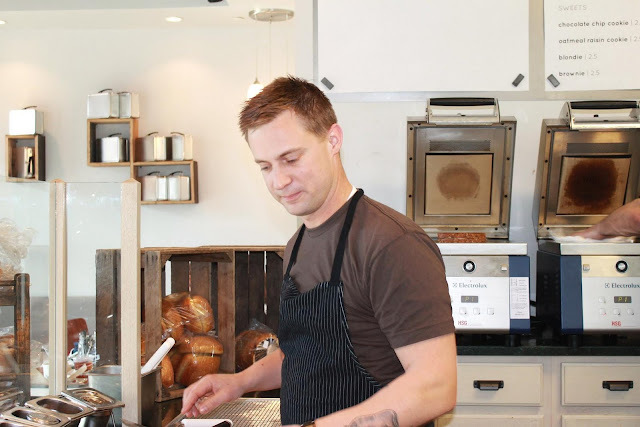 On the day that we visited, Bryan Voltaggio was busy making sandwiches. He chatted with customers and is quite personable. One customer remarked that she was surprised to see him there to which he replied, "Of course I'm here, I work here!" He's so down to earth despite the fact that he has reached bobblehead fame and constantly has people taking pictures of him! 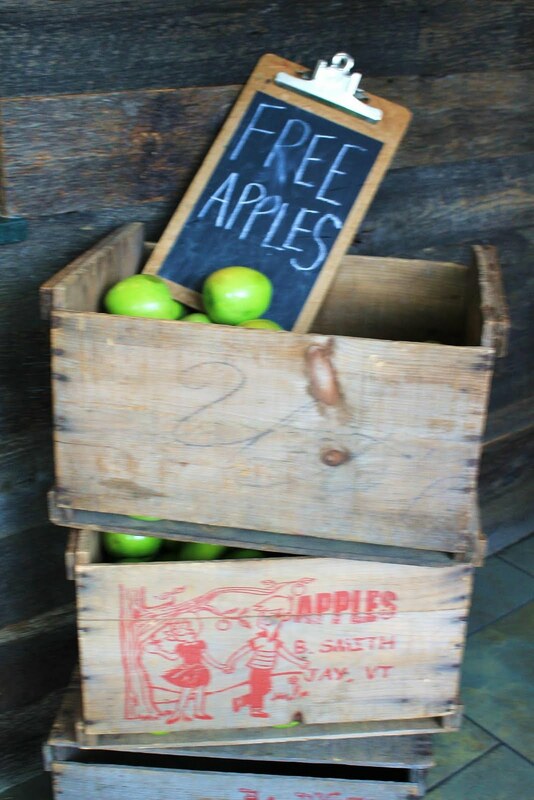 My girls liked the crate full of free apples beside the cash register. The menu at Lunchbox is full of lots of delicious options. The best part is that everything on the menu costs $5 or less. We tried the sandwiches, soup, and sweets. On my next visit, I want to try a salad. The food on the menu is fantastic, but the drink choices are also fun. You can try Cheerwine or Mexican Coca Cola at Lunchbox. Cheerwine is so yummy and difficult to find. Mexican Coca Cola is so much sweeter than Coca Cola in the United States. I tried the Pilgrim and loved it. The sandwich is huge and half of a sandwich would have been plenty for me. It's full of fresh turkey and a light cranberry dressing. It has so much flavor! I also love the Butternut Squash soup at Lunchbox. Creamy and delicious. 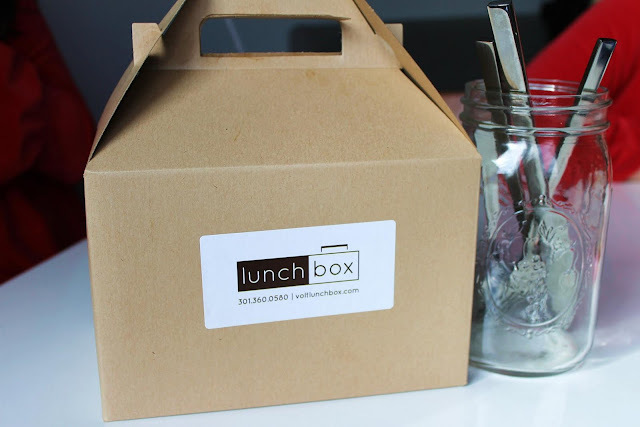 Even the to go boxes are fun at Lunchbox. Isn't this little lunchbox cute? We couldn't finish all of our sandwiches, so we took some home to eat later in the afternoon. My friend Anita and I went to Lunchbox with our girls and we saw many other moms who had the same idea! I'm looking forward to another visit to Lunchbox soon. If you're in Downtown Frederick shopping or looking for antiques, stop in for a snack at Lunchbox. You're going to love it. Oh, that sammy looks yumm! How fun! A great little place. Looks delicious! I rarely make my way over to MD, but I would love to try one of his restaurants. That place is adorable! LOVE IT! That looks delicious, if I'm ever in Maryland visiting my family again I want to check it out! I'm a huge Top Chef fan! What a great concept...so many chefs are creating more accessible restaurants. I'm sure the sandwiches are delish! Miranda and Emily ~ It's worth the drive. You'll love the restaurant and can check out some fun downtown shopping after you eat. Amy ~ So true about the bistro style restaurants. Voltaggio is opening another restaurant that is going to be similar to an old school diner with accessible prices. I'm such a foodie, so it's refreshing to find quality food at great prices. This really looks great! We went to Volt for brunch a year ago...after making a reservation MONTHS in advance! It was wonderful - we'll definitely go back and I'll plan on trying Lunchbox as well!